When it comes to binary options, most people find it curious that their prices shift as much as they do; they rarely remember that the price of binary options is being influenced by supply and demand, bids and offers. Every time you buy a binary option on a financial instrument, you need to ask yourself: is the price of the asset going to be higher or lower than the target price? Whether your answer is yes or no, there is a binary option that supports your position on this matter. The underlying asset has to comply to the laws of supply and demand, much like everything else on the market. 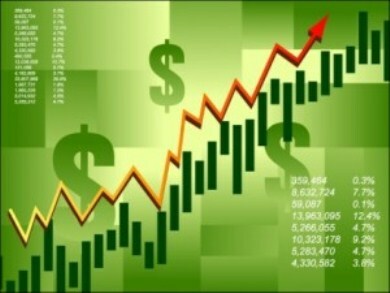 The bid price refers to the amount of money that is being offered in exchange for a financial instrument of any kind. This includes binary options. The ask price is the amount the sellers are willing to accept at a particular point in time. The difference between those two sums, the one being offered and the one that most sellers would accept is called the spread. Basically, the tighter the spread, the more liquid the asset behind it. Those two prices are constantly being synched. 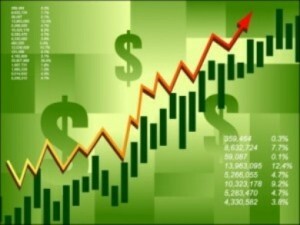 In terms of binary options, the prices are also determined by this supply-demand relationship. The thing is, since binary options do not convey you any actual rights in relation to the underlying financial instrument, but are centered on price shifts alone, this supply-demand relationship is two-fold. First, there are the bid and ask prices for the instrument itself, which affect the price of a binary option on that instrument, and there are the ask and bid prices on the option itself. For example, let’s take binary options on gold. The price of gold has a bid price and an ask price, determining how much people are willing to pay for gold and how much people would like to get in exchange for gold. Those two directly affect the price of gold on the market. But buying binary options will not get you gold. You’re betting if the price of gold will go up or down for a fixed payout. You own no gold yourself, but since supply and demand shift constantly, so does the price. And the price of a binary option is proportionate to the chance of payout, creating the link between the prices of binary options and their underlying instruments. But the binary option itself is not exempt from supply and demand. Greater supply and lower demand mean lower prices and vice versa. Greater demand + lesser supply = higher price. This applies on binary options and their underlying instruments alike. This means the price of the binary option on gold would be determined by traders themselves, if the bid and ask prices are high for an option, so is probability of payout and vice versa. So, if traders start buying certain binaries, their price may actually be higher than payout probability would suggest.